Richmond Free Library | Mission: To provide resources and experiences that inspire, inform, entertain, and connect members of the community throughout their lives. Resonance/Dissonance is a series of abstract mixed-media paintings that reflect her fascination with forms, patterns and relationships found in nature. The repetition of shapes is meditative and rhythmic. Want to learn more about the 2019 Vermont Reads book selection? This book trailer was created by the seven students who participated in a recent video workshop produced by the Richmond Free Library and Mt. Mansfield Community Television. We have many copies of the book available at the library. Check one out today. For the past three years we have participated in the Vermont Humanities Council program Vermont Reads with great success, bringing people of all ages together to read, discuss, learn and create. The 2019 book is the graphic novel March: Book One, the first in a trilogy by civil rights icon John Lewis in collaboration with co-writer Andrew Ayden and graphic artist Nate Powell. It tells the story of Lewis’s coming of age in rural Alabama and early life of civic activism. Lewis, who was greatly inspired and influenced by Martin Luther King Jr., is considered one of the big six leaders of the civil rights movement and an early adopter of the nonviolent protest tactics that were instrumental in the desegregation of the South. Lewis has served in the US Congress since 1987. Thanks to a grant from the Vermont Humanities Council we have many copies of March: Book One on hand to distribute to the community. Come by and pick up a copy. We are thrilled to be working with the Peace and Justice Center to bring three dynamic programs to the Richmond community, each of them designed to explore the themes in March and increase participants’ working knowledge of nonviolent activism. These programs are free and open to the general public. Call or email the library for more information or to register. Registration is not required but is appreciated. Learning Nonviolence: The Children’s March Enjoy a simple soup and bread meal at the library followed by a program for families. Participants will watch and discuss excerpts from Mighty Times: The Children’s March, a film about the 1963 actions in Birmingham to learn about Kingian Nonviolence and the power of working together to take on big problems as a whole community. Appropriate for age 8 through adult. Join us on Friday, March 15, 5:30-7:30 pm in the community room. Bring your own bowl and spoon. Learning Nonviolence: Lunch Counter Sit-In This interactive theatrical event is a simulation of the year 1960. An African American college student is conducting a training session for people interested in joining a sit-in to protest racial segregation. The student speaks about protests and coaches members of the audience in the philosophy and tactics of nonviolent action. Appropriate for age 10 through adult. Join us on Thursday, April 11, 7-8 pm in the community room. Learning Nonviolence: Activism 101 Participants will learn aspects of Kingian Nonviolence, build knowledge of successful nonviolent campaigns, explore how their own identities impact this work, and engage in role play. Designed to help unlock ways to work towards social justice and peace without perpetuating cycles of violence. Appropriate for age 14 through adult. Join us on Tuesday, May 7, 7-9 pm in the community room. Learn more about Vermont Reads 2019. New Passes: Skiing, History, More! In addition to the popular passes offering discounts or free entry to ECHO, Shelburne Museum, and more, we now have some new passes available to Richmond patrons! Just stop by the library to check out a pass for a two-day loan period. Sleepy Hollow Inn Ski & Bike Center: Passholder receives a $3 discount for each family member (up to two adults and two children) on any day or half-day pass. May be used for a skiing or snowshoeing pass (or for a biking or hiking pass in season). Visit Sleepy Hollow’s website for information about rates and current conditions. Catamount Outdoor Family Center: Passholder receives a $3 discount for each family member (up to two adults and two children) on any day or half-day pass. May be used for a skiing/ snowshoeing or fat biking pass (or for a biking/ hiking pass in season). Visit the Catamount Center’s website for information about rates and current conditions. Vermont History Museum and Vermont History Center: Pass admits one person or family to either the Vermont History Museum in downtown Montpelier or the Vermont Heritage Galleries in Barre. Visit the Vermont Historical Society’s website for more info. Education & Enrichment for Everyone: EEE’s Spring 2019 programs are on Fridays in February, March, and April from 2:00-3:00 pm at Faith United Methodist Church in South Burlington. Lecture topics include immigration issues, Vermont on film, the Treaty of Versailles, prison reform, modernist architecture in Vermont, the Supreme Court, owls of Vermont, and more. Pass admits two adults to one lecture each semester. For more information and to view the full series, visit EEE’s website. This 30-minute program is for our youngest visitors. Adults interact with their little person through simple stories, songs, rhymes, bounces and wiggles that are sure to bring out the smiles and giggles. Baby Laptime is designed for infants through age 2 and runs September through May. Join us on Mondays at 10:30 am. The morning begins at 10 am with songs, stories and a simple snack (bring your own) on the alphabet rug. Around 10:30 am we’ll get out the toys for free play with friends in the library’s sunny and spacious Community Room. We have gross motor and fine motor toys, puzzles and activities for infants through preschool age children. Join us on Wednesdays, September through May. Frequent exposure to picture books not only entertain and delight children but also strengthens their vocabulary and their ability to make sense of the world. We’ll share fantastic new and classic picture books and work some early literacy magic into a child’s day. We’ll couple stories with simple songs and activities for some interactive moving and shaking. Toddlers and Preschoolers and their caregivers are welcome. September through May. This outreach program brings storytime out into the community. Children and caregivers enjoy stories and music making with a focus on the early literacy skills necessary for strong reading readiness upon entering school. Bins of library books are dropped off and picked up every few weeks. If you operate a childcare business in Richmond and have not participated in this program in the past, contact Wendy at 434-3036 or rfl@gmavt.net for more information and to sign up. Weekly programs at the Library follow the CESU school district schedule for vacation days and weather closure days. 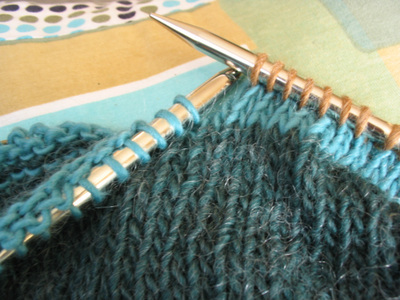 Join other knitters in the Mezzanine Lounge at the Richmond Free Library on Wednesdays, 6:30-8:00 for social and skill exchange. All levels, any handcraft (crochet, tatting, needlepoint, etc.) welcome. Singer, Songwriter and Farceur Rick Norcross of Rick and the Ramblers fame will give a free concert in the Library Community Room. This up close and personal concert will celebrate 55 years of writing and performing award-winning Vermont story songs. The Library is thrilled to be working with the Peace & Justice Center to bring this dynamic program to the Richmond community. This interactive theatrical event is a simulation of the year 1960. An actor portraying an African American college student will conduct a training session for people interested in joining a sit-in to protest racial segregation. The student speaks about protests and coaches members of the audience in the philosophy and tactics of nonviolent action. Appropriate for age 10 through adult. In preparation for this program you might want to read the book March by John Lewis. The Vermont Humanities Council 2019 Vermont Reads book selection is the graphic novel March: Book One, the first in a trilogy by civil rights icon John Lewis in collaboration with co-writer Andrew Ayden and graphic artist Nate Powell. It tells the story of Lewis’s coming of age in rural Alabama and early life of civic activism. Lewis, who was greatly inspired and influenced by Martin Luther King Jr., is considered one of the big six leaders of the civil rights movement and an early adopter of the nonviolent protest tactics that were instrumental in the desegregation of the South. Lewis has served in the US Congress since 1987. Thanks to a grant from the Vermont Humanities Council the library has many copies of March: Book One on hand to distribute to the community. Come by and pick up a copy.